In 1925 Burns built the El Vernona Hotel, naming it after his wife, Vernona Hill Freeman Burns. 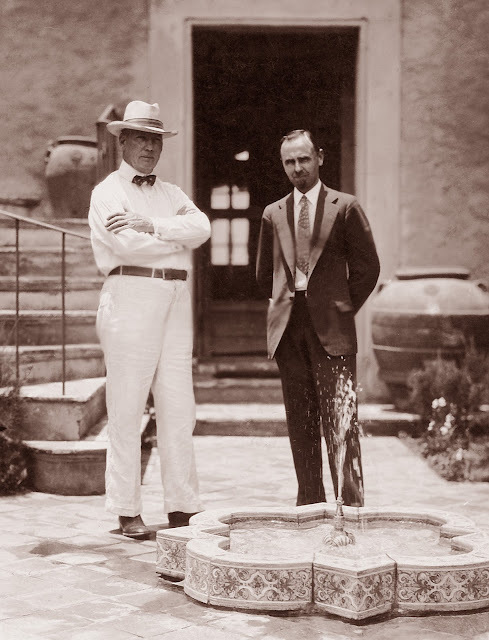 He and architect Dwight James Baum designed and built some of Sarasota's most important buildings in the 1920's including Cà d'Zan, the home of John and Mable Ringling. Owen Burns, left, and architect Dwight James Baum in the courtyard of the Burns Office Building.